Carl Sagan once said: “We live in a society exquisitely dependent on science and technology, in which hardly anyone knows anything about science and technology.” And only this can explain a Motherboard article that contends a third of Americans think technology will ruin their lives. My initial thought, upon reading the headline of the article, was: Only a third? Because, based on my personal experience, my observations of people and the popular media they consume, I’d think that figure was well over half of the American public. Part of that is because, as Sagan said, Americans today are largely divorcing themselves of the desire to even know how science and technology works. Despite the fact that they benefit from thousands of years of accumulated knowledge on a minute-by-minute basis, they don’t care if they don’t know how it works (as long as they have enough money to buy, fix or replace it). And when it comes to science and technology, what you don’t know can really hurt you. Faced with a world of technology they don’t understand, it’s easy to develop technophobia and jump to the conclusion that it’s all essentially hazardous. Another part is, frankly, the sheer complexity of modern life: When you’re balancing a home life, a social life, work, finances, security, health and appearance… adding the details of physics to your vault of knowledge becomes hard. So, again, they are reduced to not trusting science and technology, because they won’t take the time to understand them. All the same, how is it that so many people can believe that driverless cars, lab-grown meat, brain implants and drone deliveries will “ruin their lives”? 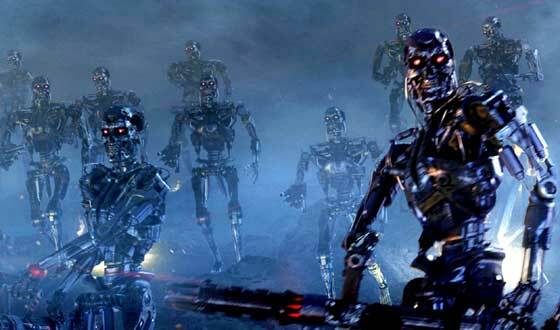 How is it that so many people are afraid of the robopocalypse, believe any aliens we someday meet will only want to eradicate/subjugate/eat us, see wars as inevitable and unstoppable, or are just as sure an undetected asteroid will wipe us out any minute now? I blame the media for our national technophobia. Which sounds far too simplistic, I know, but nonetheless: American commercial media (primarily television, movies the web and social media) does more to shape the attitudes of the American public than any other single influence, including parents, schools and peers. And it’s American media that shows us technology-run-amok on a constant basis, from real life stories of crashed planes, drone missile strikes and DNA experimentation gone bad, to fictional terminators, cloned T-Rexes, Star Wars and nuclear apocalypse. Precious few are the TV shows, movies or news reports about science and technology applied to solve problems and make our lives better. Precious few in the media talk about the thousands of jet flights that land safely and successfully every day. Precious few in the media talk about the thousands of lives saved in hospitals and clinics (including my father), the lives saved by seatbelts and airbags (including my mother), or the countless lives saved or just made better, richer or happier thanks to our telecommunications-connected world. They do talk about zombies, ax murderers, terrorists and hackers. They invent implausible scenarios to scare the public about innovations and improvements to their lives. They lampoon the changes that technology brings to daily life, and present them as nightmares. They invent and exaggerate statistics to convince those (who don’t know how to read or check statistics) that positives are, in fact, deadly negatives. They are the ones who wait for people to get Future Shock… then they press them with the joy buzzer. The media doesn’t want to understand science and technology, either… because it’s already convinced that the public wants to be ignorant. So they sell sensationalist material designed to pander to that intentional technophobia. If a third or more of Americans see doom and gloom as the inevitable result of science and technology… it’s the media that quite deliberately put it there. Faced with a beautiful forest, the media has people seeing only the thorn bushes and poison ivy on the forest floor. But it’s a funny thing with science and technology: It’s easy to lose sight of exactly how good you have it. And people who live everyday with automobiles, computers, cellphones, aircraft, electric lights, online shopping, credit cards, direct deposit and ipods, seem to easily forget how much those things, and others, have improved their lives so significantly. At one time, these new things heralded a change to our lives, which can be concerning, scary… yes, even ruinous. But generally speaking, our world has been enriched by those changes; there really are very few examples of technological advances that have made the world worse, despite the claims of the media. Those of us who are not so susceptible to the negative vibes of the media need to do more to highlight and encourage the positive side of technology. We need to make sure people are aware of the ways in which their lives are being enriched by technology; as well as all the negative predictions of what technology would bring over the years, that never actually happened. Instead of indulging others’ technophobia and predictions of doom and gloom, remind them of how unlikely it would be that they’d even be here to consider their fate, without the benefits of the technology that got us here. Too many of the technologies that can positively transform this world are delayed, or even given up, thanks to people who are afraid of what they don’t understand. The best way we can get ahead is to make sure everyone understands, not only how something works, but what is at stake… so we can all make decisions based not on fear or technophobia, but on truth. Previous Previous post: A NuTrek series is coming. Whoo. Personally, I can’t wait to witness AI walk among us. I’ll take dumb AI prototypes. Anything… just to witness robots among us. Ignorant isn’t a cuss word. It is not something you ‘insult’ with. It’s simply a state of being. If you are uninformed about something, then that makes you ignorant about that thing. And so, people who fear technology, are in fact, sort of ignorant. Unless they’re Hawking. Then they’re just extrapolating geniuses with certain theories, with which I personally do not agree.